Ada soalan mengenai MEININGER Hotel Berlin Hauptbahnhof? 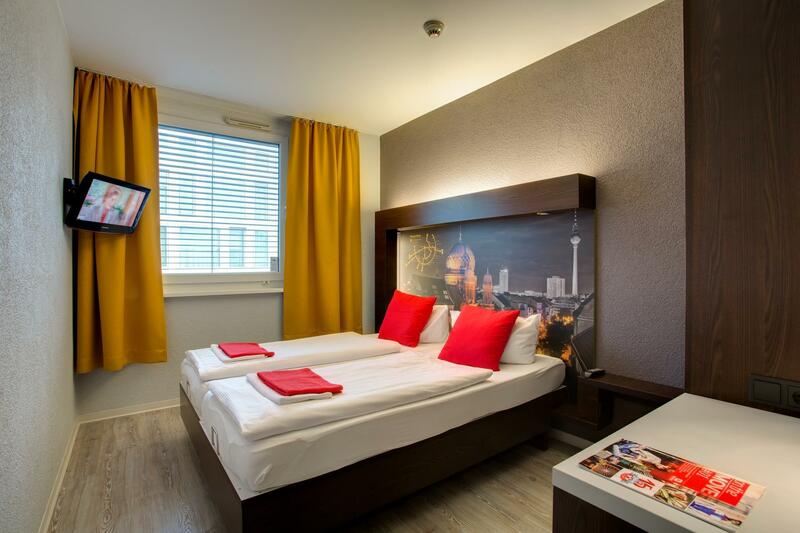 Terletak pada kedudukan yang baik di Mitte, MEININGER Hotel Berlin Hauptbahnhof adalah tempat yang sesuai untuk memulakan lawatan anda di Berlin. Dari sini, tetamu boleh menikmati akses mudah kepada semua yang bandar meriah ini boleh tawarkan. Tidak kurang hebat adalah akses mudah hotel untuk ke pelbagai daya tarikan dan mercu tanda bandar, seperti Moltkebrucke, Berlin Hauptbahnhof, Carillon Tower. Kemudahan dan perkhidmatan yang disediakan oleh MEININGER Hotel Berlin Hauptbahnhof memastikan penginapan yang menyenangkan bagi para tetamu. Hotel ini menawarkan Wi-Fi percuma semua bilik, meja depan 24 jam, simpanan bagasi, Wi-Fi di tempat awam, bilik keluarga untuk memastikan tetamu menikmati keselesaan yang terbaik. Hotel ini mempunyai 296 bilik yang sangat cantik, setiap bilik dilengkapi televisyen skrin rata, internet wayarles, internet wayarles (percuma), bilik larangan merokok, penyaman udara. Sama ada anda peminat kecergasan atau hanya mencari cara untuk bersantai setelah seharian bekerja, anda akan dilayan oleh kemudahan rekreasi kelas tertinggi seperti meja biliard, bilik permainan. 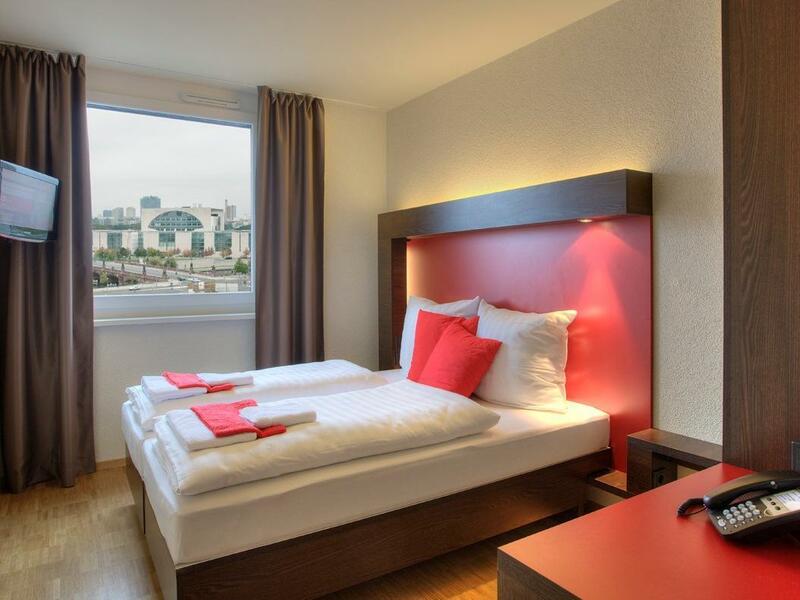 MEININGER Hotel Berlin Hauptbahnhof adalah destinasi sehenti anda bagi penginapan hotel berkualiti di Berlin. you can easily find the hotel when you exit from the main station. the room is small but that's good enough. the price is worthy. and there is a kitchen so you can shop from supermaket and prepard food there. Very close to the main train station and reasonably priced. The hotel even has the automated schedule of trains reflected near the reception area! Tourist spots are just walking distance from the hotel. Check out was quick, served by a friendly frontdesk officer. Room was small but clean. Booked for 3 single beds but given 2 bunkbeds. Around 21.00 pm, a guy kept knocking and did not left until I opened the door. Wrong delivery of hairdryer to our room. I loved that this hotel is right next door of Berlin's main train station! It's everything you can ask for. Buffet breakfast is cheap--value for money! I got a big room for a very reasonable price, thanks to Agoda. I stayed here for three nights with 3 teenage family members. The hotel is a few minutes walk away from Berlin Central station, perfect. You can travel anywhere you want from here. The check in was easy enough although the receptionist could have been more welcoming. The room had 2 bunk beds, a tv on the wall, and a toilet with walk in shower. The room was very clean and our room looked onto the station steps. The room was very small, with little floor space but I imagine like us you'll only be there to sleep. 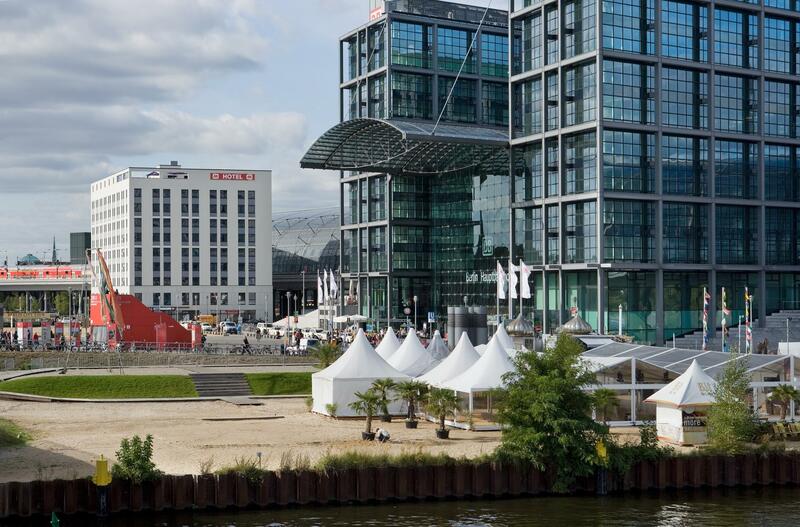 The hotel is within walking distance of the Reichstag building and is located near the river too. You can pay for a buffet breakfast if you wish, we didn't try it but it looked a popular choice. The hotel can be a bit noisy a night, with lots of young groups using the bar and pool table etc, but it didn't spoil our stay. I found the price we paid a bit expensive but I suppose you're paying for location. The hotel located just opposite the Berlin Hauptbahnhof. 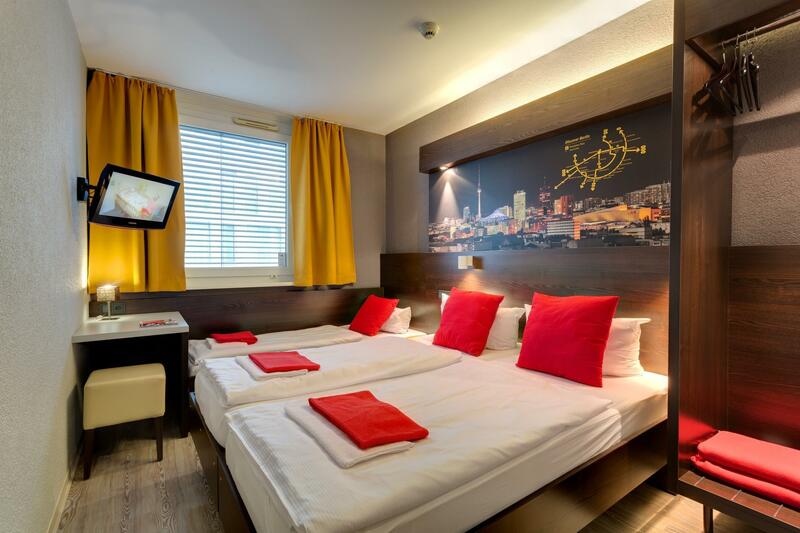 The hotel is located few steps from Berlin Central Station and has all the facilities needed for a comfortable stay. I liked it very much; weekend nights could be a bit noisy depending on which side of the hotel your rooms are located; but that did not bother me much. We selected this hotel because of its competitive price and close proximity to the central train station. It is a hotel for travelers on a budget, but it does not compromise on quality. We were very pleased with our stay! 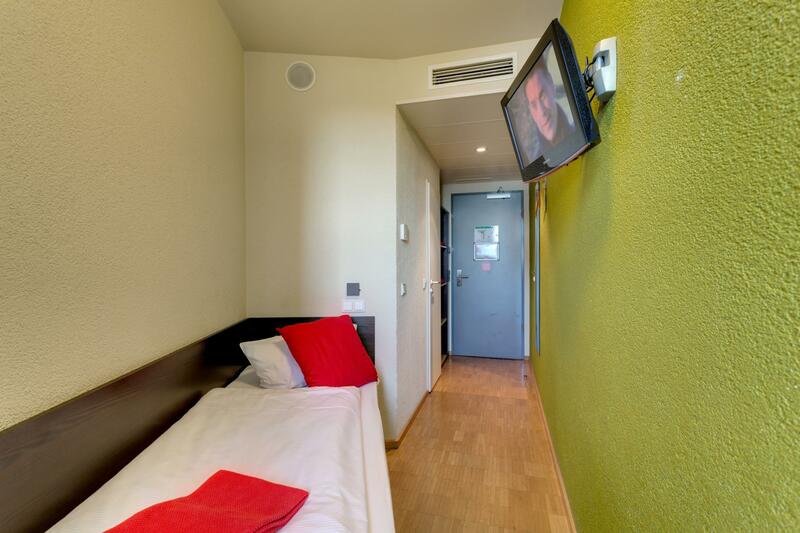 Our standard room was comfortable in size and featured a small flat-screen TV with international channels. The room have an adequate storage area, and the bathroom was nice as well. We missed amenities such as a safety-deposit box and mini-bar in the room, but it was not a problem - valuables may be kept at the front desk and food-and-beverage items were reasonably affordable here. All staff members with whom we interacted were fluent in English and eager to help. The thing that we enjoyed most was that our room was ready when we reached the hotel at about 11:00 (we had requested early check-in)! After a long journey, we truly appreciated the gesture! Overall, we were very satisfied and will surely consider this hotel for future visits to Berlin. the location were superb, it's just located next to Haupbanhof ( central station). staffs wasn't that friendly, maybe there are jus plain busy with the tons of people checking in. can opt for late check out at 2pm For extra 10 euros. check it is at 3pm, usual check out is at 2pm. it's kinda weird that you are unable to consume alcohol in the room, only can consume it in the bar. my booking was a single occupancy but was got a double room, but their double bed isn't really double it's like 2 single bed put together. overall experience was quite good. Stayed for one night only, needed to catch a morning train the other morning. Convenient location, 2mins walk away from the central train station. Room and bed are small for a single room as the same you could see in the picture. Room and washroom are clean except the blanket cover. Heater in washroom is a plus. BEST OPTION FOR VALUE NEXT TO THE BERLIN HBF!! 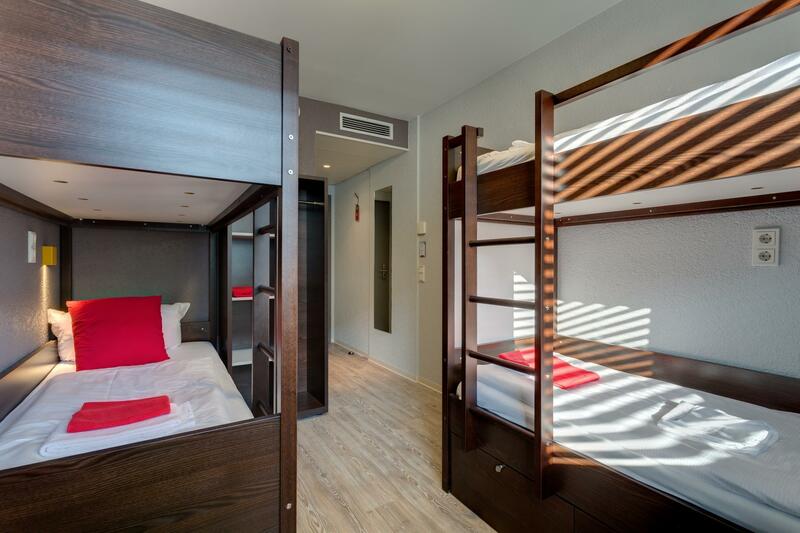 THE ROOM IS INTENDED FOR 4 PAX (BUNKBEDS), PRETTY SMALL BUT CLEAN. BERLIN HBF IS RIGHT IN FRONT OF OUR ROOM WINDOW :) BREAKFAST IS ADDITIONAL (6 EURO).. WALKING DISTANCE TO SOME OF THE SIGHTSEEING PLACES.. HIGHLY RECOMMENDED!! Positives: Clean, SUPERB location Negatives: We needed to fit the sheets ourselves for the top beds of both bunk beds. Staff was a little indifferent and not attentive enough. Only basic facilities not including water kettle. This isn't a luxury hotel, but the location could not be better, the staff is excellent, the hotel is modern, clean, functional. Rooms and bathrooms are small but efficient. Comfortable mattresses, fast free wifi. I will stay here again! I have a good time staying at The Meininger Hotel Berlin Hauptbahnhof is a nice place with great location, the central station is just outside of the hotel's door which is very convenient to me as the shops and food courts are right in front of me and it is close by to most of the tourist attractions like the Reichstag, Brandenburg Gate and some of the museums. This is a great hotel, except for the A/C issues where you have to sleep with opened windows and deal with street noises as well as train arrival/departure noises during the summer. Hotel should be marked as no A/C, so customers who are sensitive with noises can look for establishments elsewhere. I booked a triple room for 3 people. But when i came, the room i stayed was a quadruple with 2 bunk beds and the receptionist didn’t inform about the change. And if you don’t hang the cleaning message outside the door, they will not clean your room. A bit noisy at night cause near the train station. Cheap, but in a good location we were staying for a night so needed a place with easy links to the airport. The room on the 8th floor was stuffy and to open the window fully meant that our baby girl was at risk of falling out. During the night there was a high voltage buzzing from the street outside for several hours. The air fan in the room was not able to make things any better. The beer and guests kitchen was great. Good for budget traveler or young people. We were pleased with our stay. Location, staff and facilities are very good. However, it can get really hot and stuffy during summer. Maybe an electric fan can come in handy. Overall, it was very good. We will stay again. Good location but very small room. They have a strict rule (or timing) to retrieve or store your luggage..... I expect the German to be precise and accurate in timing to operate the luggage storage room..... unfortunately it was not.